A while back, I came clean about my Zara obsession, and I'm here to update you on my current relationship status with the retailer. We are still going strong, visit each other on a regular basis, and continue to prove to each other that we're a great match. In addition to my own Zara journey going painstakingly well, many of you came forward after I talked about my obsessive Zara disorder via your interactions with the Instagram account my co-worker (and BFF) and I run, The Devils Wear Zara. Needless to say, it feels good knowing I'm not alone. As you're probably well aware, Zara gets in tonnes of new products weekly, and keeping up with it all is overwhelming. However, thanks to my strange obsession, I have a knack for staying on top of the best new products pretty regularly, which is why today, I decided to share my most recent Zara purchases that I not only love but that also receive compliments every single time I wear them—and not just on Instagram. From the kimono of my dreams to the new naked shoe trend Zara quickly jumped on, go on to shop the 10 Zara items I am so happy I added to my closet, in addition to the items currently in my shopping cart. I love this kimono because you can wear it as a dress or over a pair of jeans. As you can see above, my go-to styling trick for this is to wear it over jeans and tuck one side a little. Once we caught wind of this new shoe trend, there was no turning back. Nearly everyone in our office bought these babies that day, and since, Zara has sold out of the product two times. Luckily, I snagged a pair in the process. On a recent trip to Mexico, I needed a versatile skirt I could wear over my swimsuit and to a nicer dinner. This one did just the trick. Basically, I saw Courtney Trop wearing a green suit in the summer, so I bought a green suit for the summer. Our Instagram caption really says it all for this one. Instead of wearing this as a dress, I love throwing it over jeans and a graphic tee for a punchy addition to an otherwise basic look. I also bought this for my trip to Mexico and it was a hit. This suit is extremely comfortable, flattering and can easily be transformed into a bodysuit by just slipping a jean skirt on top. These are another pair of Zara shoes that took off at the Who What Wear office. I am currently contemplating getting the navy colour as well. To me, summer is all about feeling comfortable, and this extremely light off-the-shoulder top is perfect for achieving that feeling. I love how it looks paired with white pants as styled below. I've been searching for the perfect matching set, and this gingham one is seriously adorable, if I do say so myself. I was kind of nervous for this purchase, not knowing what the green would look like in person, but it's so chic. People always have something to say about this pair of shoes, whether it's a comment about the colour or the shape. The perfect dress for layering. The answer to how to wear a blazer in the summer. I mean, getting a yellow suit too wouldn't be excessive, right? There are too many ways to style this cool tunic. Waiting to see if anyone asks me to be plus-one to a wedding this summer so I can have an excuse to buy this. This handle is modern and sleek (and looks so expensive). Yes, I need another pair jeans. Don't judge me. Basically just wishing I was still on holiday. Next up! 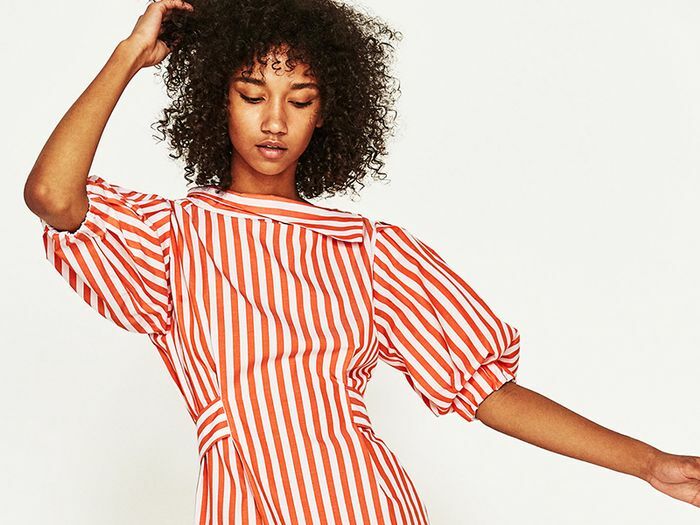 29 of the best wedding guest dresses that stand out from the crowd.